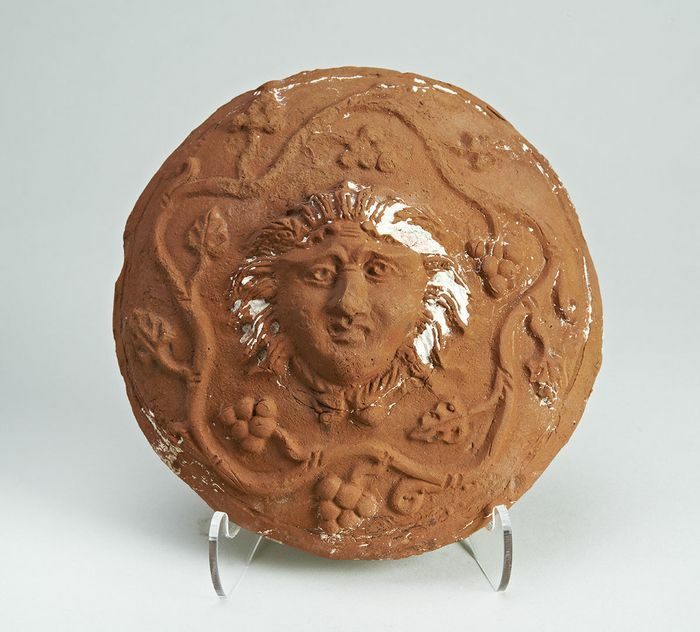 Terracotta roundel moulded in relief with the mask of a deity, surrounded by a continuous grape vine. The mask has wild hair and wings atop the head. 1st Century BC/AD Height 15.3cm--6" Intact, some gypsum remaining. Provenance : Mustaki collection, exported from Egypt under licence in 1947.